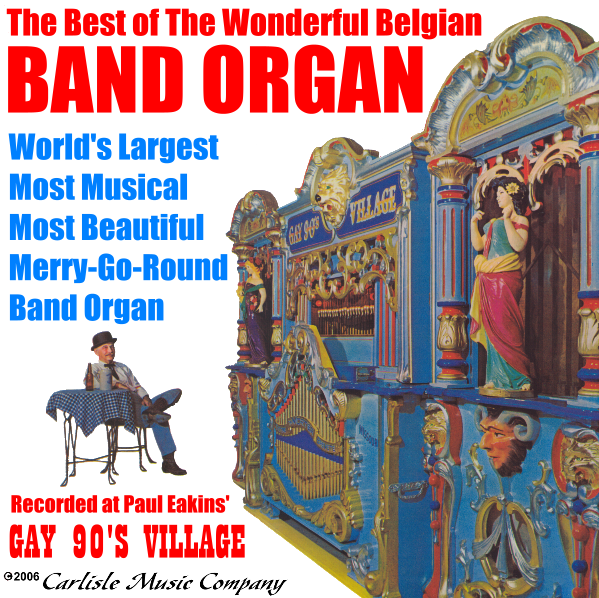 The stately organ, aka The Emperor, was made in Belgium by Mortier before the turn of the century. This organ at that time it played from a pinned cylinder called a "cob." The cardboard books of music it now plays from are made of a special material from Sweden with flax in it to keep the perforations sharp and clear. Instruments played by this machine include 418 pipes, bass drum, cymbal, snare drum, double castanets and 22 xylophone bars. Its effect is similar to that of a 60 piece orchestra. The ingenious tremelos will produce, with the vox humana, violin, diapason, and melphone, a marvelous sound not unlike the human singing voice. This new Compact Disc collects the best songs and brings them to you remasted from the original master tapes. You won't believe how good these songs sound. You have never heard them like this before. They sound as if your standing right in front of the The Emperor himself.